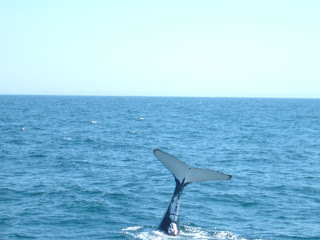 Brisbane Whale Watching invite you to come on board the magnificent 'Eye-Spy' for an encounter with the whales. Of all the great whales, the humpback is the most surface active displaying behaviour that will not only inspire you but leave you in awe. 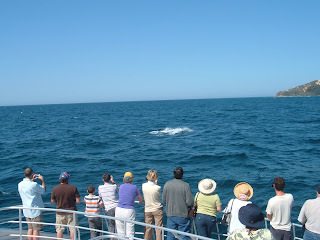 There quite clearly is no better place to observe the mighty humpback than Brisbane’s Moreton Bay, recognised as one of the world’s best Whale watching areas. While keeping a lookout you're given an excellent commentary from our onboard expert and female Captain, Kerry Lopez, which leaves you with a better understanding of these huge mammals. 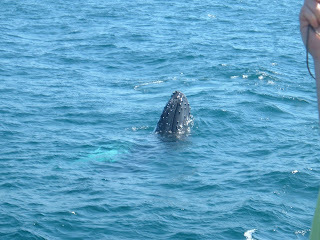 It really lived up to expectations, the whales were within metres of the boat and were as much interested in us as we were of them!. My camera doesnt do them justice....I will put more photos on the blog.